Administer this supplement using only the device provided. Shake well and fill device to the 1.0 mL line. Dosage not to exceed 1.0 mL per day. 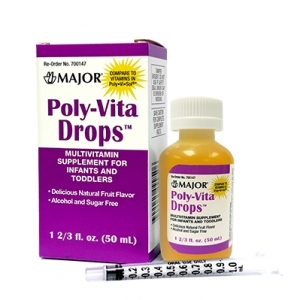 Dispense directly into mouth or mixed with formula, fruit juice, cereal or other food. Rinse and retain device for future dosing of this product. © 2016 Hind Wing Company Ltd.